IN THIS EPISODE: We discuss the President's Task Force and the USPS and the initial reaction from the mailing industry. Anita: And I'm Anita Pursley. Welcome to Industry Corner. 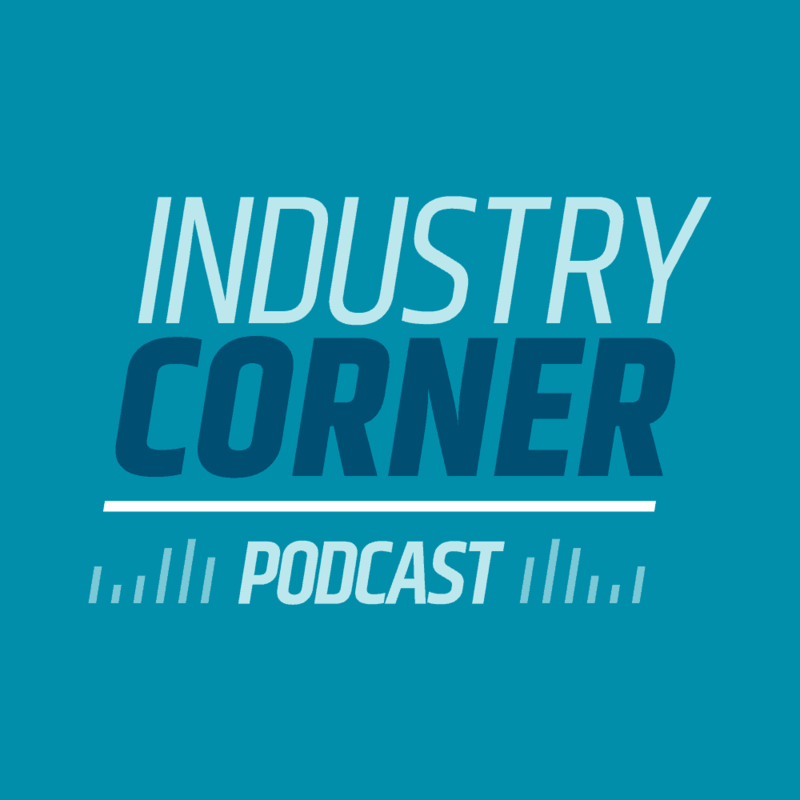 A podcast where we share postal industry news to help you stay informed. Chris: On today's podcast we discuss the president's task force and the United States Postal System, the initial reaction of the mailing industry. So let's get into it. Anita: Hey Chris. How are you? Chris: I am doing great. Thanks. You know, it's the holiday season and of course the snow's on the ground and everything. We're really getting excited here in Rochester, New York with the upcoming holiday and the new year and of course working diligently on the price adjustments in the software and hoping to get that out to our customers as soon as possible. And I think we're right on track for where we need to be. I see that Santa came early this year to the mailing industry. Anita: Yeah, with a lump of coal. Chris: Well, we'll see. There's certainly a lot in that goody bag that was put forth. And of course we're talking about the Treasury Department' s published taskforce, the president's task force on the future of the United States postal service. Which Anita need. I understand that was completed back in August, right? Why don't you kind of walk us through sort of how we got to here what were this task force came from, and then we'll start to unpack what's included. Anita: All right, good. Yeah. Just as a refresher for them, for the listener. So back in August, President Trump issued an executive order to form a task force to evaluate the postal service's finances and operations. And it was to be chaired by Treasury Secretary Steven Mnuchin. Remember I always said “munchkin” because I always had a problem with that name. And then others on the task force are the heads of the OMB, the Office of Management and Budget and the OPM, Office of Personnel Management. So the executive order recommended or asked for recommendations within 120 days. So that took us to mid-August and we heard that the president was briefed in mid August. So the task force did accomplish its task. But then we were told that the public would not see anything until after the midterms. So that's exactly what's held true. So December fourth was when the report finally came out and, uh, wow. Quite a reaction. Chris: Yeah, I know. Exactly. You know, a lot of people were looking at it and I know myself, I took a look at it right away and I got to tell you, you know, as I looked at it, I didn't see any kind of a connective thread through it. And in fact, to me it seems to be sort of this mishmash of stuff thrown in. Sorta, you know, just this, this whole smattering of ideas and concepts, including a few things that were really new. And I guess really unexpected, but you're right, it seems like the initial reaction has been anything but positive from the industry on this. Chris: I've heard it called a disaster, um, disappointing, an opportunity lost. I think that's, that's a good one. And then I think probably the most positive comment I heard is that it was a contribution to the conversation because it does keep us talking about the postal service and heightened awareness. Anita: You know, that's a really good way to look at this, um, bucketed that way. So what do you find is the interesting and worth exploring exploration? Probably the commitment to the universal service obligation? Chris: We have, and the problem is it's one of those weird things we can all say, “yes, there's a universal service obligation, it's sort of codified in the law with that and we expect it as a public and certainly as a mailing industry that the postal service is supposed to deliver to every single delivery point in some type of a consistent manner”, but it doesn't get defined clear enough really to be able to build upon it. Obligations, requirements, responsibilities for the postal service that in turn then could impart pricing and other things relative to it. So universal service obligation definition, what does that mean, what's required? That's long overdue and I'm glad that the report calls that out. The other thing that I saw to just kind of on that point, Anita was a retiree healthcare pre-funding and coverage, right? Again, another topic that we've talked about extensively and certainly that was exacerbated with the postal accountability enhancement act in 2006, which now it's been 12 years. So the report talks about the coverage, talks about the overfunding, which is clearly there. I think it gives some direction as to what could be done with that, but those two topics, I think those are… I'm glad to see them in the report. It certainly was expected to a certain degree, long overdue, but boy. It's the rest of the stuff that's in there that just takes it down. Very interesting. Different paths. Chris: yeah, no, that's… see? and here's where I think we got a real problem. This is a very slippery slope. Bifurcating the value of mail. I mean that's really what it is. Bifurcating the value of mail into essential and nonessential. So first of all, let's start with essential. Essential to whom? Anita: Right, sender or receiver? Chris: Exactly and part and parcel to that is well who paid for it. Anita: Who's the customer here? Chris: Well, I'm glad you mentioned that. That was something else that seemed to be really either lacking overtly or just grossly misunderstood, right. The recipient of the mail is not, in most cases, the one that paid for that, the 85 percent of mail that's being enhanced or or paid for effectively, right? Through some type of a pre sorting or pre preparation to expedite the deliverance by the United States Postal Service is not being drawn by the mail recipient. It's being fed into the system by the postage payer and that postage payer course are the mail owners, mailing service providers, this whole ecosystem that's been built around this and to that ecosystem, mail is essential. It's an essential part of the direct marketing. It's an essential part of them to communicate and connect and relate to their customers. So I think I understand where the task force was trying to go with the idea of the central services because you look at pharmaceuticals, Anita, right? You know, people receiving insulin and things like that. Mail is an important part of that. For them to be able to receive that and certainly people that are in rural environments, mail is an important way for them to connect and to stay informed and so forth. And you know, Anita, I was thinking when I looked at that, it reminded me, do you remember how in periodical mail we have that kind of this phrase we call ESCI value, right? Anita: But it's so dangerous, the non essential services essentially would include marketing mail, and even first class mail that has marketing material in it. I mean we don't know which one that would be. It just hasn't been specifically defined and the fact that they think that they could pay for essential services without non essential services. It's just not worth it. Chris: And again, I'll go back to, you know, essential market marketing mail to your point is essential not only to the person that's using it as a vehicle to be able to communicate, including political mail, by the way was marketing mail. Political mail, two point 8 billion pieces I think that we talked about before that we heard at MTAC that would be deemed under this as non essential. I think that there would be a problem with that. And of course for the United States Postal Service marketing mail is essential to their growth strategy and the high touch, the high tech multichannel marketing that they'd been talking about and that we, you know, informed delivery, all these other programs are built around that. So enough on that, I mean it's just interesting bifurcation with it, but huge ramifications. Anita: Let me just say one other thing though, is that they really are basing this on the fact that they think that marketing mail is price inelastic, is that the way you're determining that? Anita: Not all marketing mail is the same. Chris: Correct. And the amount of time that it takes to respond to price changes can be longer than maybe what some of the elasticity curves measure. Anita: And you know, there's a delivery frequency aspect to that too. So essential services would be delivered at frequencies that match their social and economic need. What does that mean? And then commercial products or nonessentials would be delivered at frequencies that maximize income maximized process. I just think this is too complex. Who's going to define that? It's just unworkable. Chris: It also starts to smack of a sort of class differentiation, right? That those that are financially better off, are going to get mail more frequently than those that aren't and you could argue, but the individuals that perhaps are not financially better off or those communities that are in that situation, they may benefit more from receiving more frequent mail and more communication. So really a slippery slope folks, and we've got to be very, very careful when we start bifurcating the value of mail. The value of the mail… mail is valuable to so many different people along the supply chain and in my opinion, that's part of what's kept the mailing industry so vibrant and healthy and a critical part of the country. Having said all that, there's no question. The United States postal service has significant financial problems and the mailing industry is built upon and depends heavily on the future and the viability of the postal service. Anita: Yeah, let me just say one last thing about that and that is that, that requires legislative change. Because it's in the statute. We have market dominant products and we have competitive products. So this is a big deal. I do think that the report is relatively naive in terms of what can be done administratively versus legislation required. So that's, that's a big point. Chris: So we talked about pricing, cost, coverage, you know, and again that's, that gets really, uh, you know, goofy. There's some language I saw in postal governance and the role of board of governors is they're suggesting a few changes there too, Anita. Anita: Well, the nice thing is that it did call for an immediate need to confirm governors. So they think the governance should be strengthened and the board expanded with more controls and increased accountability. But the odd thing is that they essentially say if the governor's can't do it, then give the authority to the PRC. And I don't know, that's just, that's giving the PRC too much authority in my opinion. Chris: My concern there is that the PRC is focused on, you know, comporting with the law and that's really where their focus should be absolutely. They're there to make sure that prices and the service by the postal service comports with the law and fits with what the expectations were of the people who, through our legislation set in place title 39 and all the rules that go along with that. The board of governors is there like any board of directors of a company to make sure that the company is successful, that it's growing that it's thriving, that it's business strategies are directed towards a path of growth and sustainability. I do have concerns, to your point, the postal regulatory commission being somewhat removed and with a focus on governance that compliance with the law aren't able to see maybe the longer term strategies of what a board of governors should really be responsible for. So I have some concerns about that. I see them as two important parts of it. I'd like to see more governors involved and I'd certainly like to see them more transparent and interactive with the mailing industry and I'm kind of excited on that point with a and then perhaps a future podcast where we talk a little bit about the plans that David Williams, one of the new governors and of course, governor Tucker. Anita: Yeah, I think we can't wait to talk about that one. Hey, we, we need to mention pricing though. That's the other thing where the report indicates that the Postal Regulatory Commission should essentially act upon their authority relative to pricing. And so that really worries me that it's giving the green light to the commission to proceed with what they originally proposed in the tenure review. Anita: oh no, they did. Their proposal, remember that's the additional 3% that they got so much pushback from the industry. So I think what I'm worried about is that this report now will kind of revisit some things and expand exactly. So it can go both ways. They could, you know, wanna weave some of this into their 10-year review proposal or go with it as it is. So it's a little worrisome. Chris: Yeah. And of course, you know, new revenue streams, things like that. There's always just areas where they've suggested expansion again. Anita: Don't you want your hunting and fishing license from the postal service? Chris: Look, we've talked about the postal service and your local post office as being your expanded connection in an application for local community, local community and the government and stuff like that. So I can see that part of it. And on that point I think a passport renewals have been good or that I know my wife and I certainly renewed our passports at our local post office. So I think there are some things that fit, but uh, but we'll see as we go forward. But I want to get to the things that I think are nonstarters. Those are easy. And maybe we just start with the first one with eliminating collective bargaining. There's no way. Chris: The change in the house, absolutely wouldn't allow that. And of course the, you know, the, uh, the postal unions, uh, in fact the APW is already taken their position on that as expected. There's no way they're going to agree to that. Also, don't agree with any changes to postal employee wages, i, talks about trying to change those sort of unilaterally that's not going to work. Those are the contracts that they have in place are pretty rock solid. Some changes to the retiree system that we're kind of talking there. I think that goes a little bit back to the retiree healthcare pre-funding. But there's some changes that were talked about in the report on FERS, The Federal Employee Retirement System. Again, that's going to require legislation on that. And then the last thing that I thought was really interesting, expanding access to the mailbox for non postal purposes. You know, it's interesting, Anita, here we have a mailbox monopoly, right? Which is, which is crystal clear in the law and recognized on the one hand in the report. Okay. Which is an important brand to the postal service. And yet they talk about expanding the mailbox for non postal purpose. I think that's a bad idea. Anita: I think it's a disaster. Chris: Yeah. And I'll tell you as a person here, you know with my mailbox at the end of the driveway and I'm on one of those curb stop people. I like knowing that watching that mailbox was placed there by a trusted postal employee, somebody that I know has oversight and is going to do their job. Anita: And has an inspection service. Chris: Absolutely. So I really would not want to see somebody else putting someorthing in there that I didn't know or that I don't have a relationship with or that doesn't have that level of trust with it. So I would absolutely urge Congress to the postal service or anybody that that's looking at that part of it. I think that's a bad idea. I think there's other things that could maybe be done, but I don't like the idea of somebody other than the US Postal Service placing something in a mail receptacle. Chris: You know, it's interesting. So here we got this task force and as you noted, you know, the PRC is looking at this. Of course the president already looked at the industry. We're all digesting this. I think we agree that most of it requires legislative changes and of course the change in the House is gonna make that probably difficult though with the change. But there are some things as you noted that the postal regulatory commissions could short of cherry pick out of that. Is that right? Anita: Or the hill, you know, they could, they could pick out things that they like and attach an amendment to any must-pass bill in lame duck. I mean you just never know what's going to happen. But as far as next steps, there's nothing really clearly stated in the executive order that says they have to do something. So I think most people think it's going to go nowhere. But I think that fear still is pretty strong that there's some things in here that you said are nonstarters. I'm not worried about those but, but the ones that really have some legs or could have some legs and could be really dangerous to the industry. And that's what I worry about. Chris: Right? So stay tuned on that folks. Continue to stay involved with BCC Software, our webpage, maybe some future podcast we'll talk about that. Kudos to the mailing industry and the various industry associations that have done a Yeoman's job of digging into this right away and putting that content out there. So if you're a member of an industry association, I encourage you to take a look at what they're putting together. It's great content. And, you know, as we begin to wrap up here, there was a couple of other announcements, Anita, on some changes that postal the postal services as well. Anita: Oh yeah, some pretty exciting ones. Tammy Whitcomb. Tammy is a member of our steering committee of the Women in Logistics and Delivery Services and she's been acting as the inspector general for three years now, almost three years. So now that we have governors, they have officially made Tammy the inspector general of the postal service. So she is the third. We talked about this, the third. There's only been three IGs, so I guess Dave Williams was in that job for a long time and I don't even know who the first one was, but anyway, so we congratulate Tammy on this appointment and then it headquarters Jakki Strako. She's been officially named the CMSO, I think the Chief Marketing and Sales Officer and EVP. So she's no longer acting. Chris: Yeah, It's official. So that's great. I know I've had, I know you have as well, Anita. The privilege and opportunity to talk to Jakki on a couple of different things and so I'm really encouraged. I'm very encouraged that the, uh, that the services continue to put an emphasis on understanding the market. I think Jakki has a great hand on, on what's going on with the industry in the market and so I look forward to continue to work with her and get a better understanding of the strategic direction and opportunities. But congratulations to Jakki certainly, and of course, Tammy, what an exciting opportunity here for, for a two outstanding women in, in very important roles in the mailing industry. All right, well, anything else Anita? Anita: I can't think of anything and I think we're out of time. Chris: I think so too. Well, I want to thank you, Anita for all the great information as always. Chris: All right, and thanks to our listeners for tuning into the podcast, if you have any questions or would like to learn more, certainly visit us bccsoftware.com or give us a call. We'd love to know how can we help? Have a great day. Everyone.